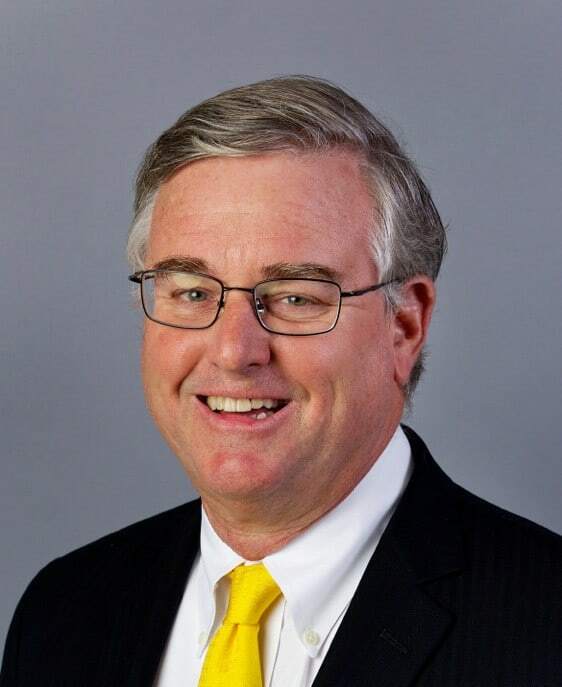 Total Wine & Wine More co-owner David Trone of Potomac and state Sen. Roger Manno (D-Montgomery) coincidently announced their congressional bids on the same day last August (Trone announced in the morning and Manno followed in the afternoon). The two Montgomery County men live outside the boundaries of the 6th Congressional District – Trone in Potomac and Manno in Olney/Silver Spring – but their urban zip codes have not been a barrier, so far, in building relationships in the district’s western counties. Trone, who ran unsuccessfully in the Democratic CD-8 primary in 2016, said he plans to open campaign offices in all five of the district’s counties – Garrett, Allegany, Washington, Frederick and Montgomery. On February 1, Trone’s campaign is opening its Montgomery County campaign office on Seven Locks Road in Potomac with an open-house event that evening. The Trone campaign is building a robust field team in the three Western Maryland counties – Garrett, Allegany and Washington – and will soon open a campaign office inside the City of Hagerstown, a space near the city’s square that was once occupied by outgoing Rep. John K. Delaney’s (D-Md.) congressional campaign. Delaney announced last year that he is giving up his seat in Congress to run for president of the United States in the 2020 election. The Trone campaign recently made a key hire in Washington County by bringing on board Nathaniel Philip as a field staffer. Philip is well respected in the Hagerstown community and has strong ties with emergency services personnel. Even before officially kicking off his congressional campaign, Manno was heavily courting Democratic activists and volunteers in Western Maryland. Dawn Beitzel, a well-known and respected Democratic activist in Garrett County, signed on early to Manno’s campaign early and has been influential in building Manno’s volunteer base and growing his social media footprint. In Washington County, Manno has the support and backing of Pamela Faulkner, another well-respected Democratic activist with a vast political network. Another prominent and well-known Washington County Democrat recently had a sit-down lunch with Trone in Hagerstown. Before their lunch, the Democrat was undecided about which candidate to support in the primary. The well-known Democrat told A Miner Detail of Trone: “He is incredibly knowledgeable about local issues and understands exactly what is going on in Washington County. He understands that opioids are taking too many young lives in Western Maryland; he’s sincere about fighting this growing epidemic.” The prominent Washington County Democrat said they left the meeting ready to vote for Trone. Trone also hired top Maryland political talent, including senior advisor and transportation expert Rich Parsons and pollster Harrison Hickman. Parsons is considered to be one of the most politically-connected and well-regarded talents in the area. Trone recently picked up Jerid Kurtz, an Ohio native, to manage his campaign. Kurtz is well known nationally in Democratic circles and managed other successful congressional and gubernatorial campaigns. Kurtz is no stranger to Maryland politics; he served as Rep. Anthony Brown’s (D-Md.) communications director for his unsuccessful 2014 bid for governor. Manno has been endorsed by a number of labor unions and is banking on the support of blue-collar voters to carry him to the finish line in the Democratic primary. Trone has been building his connections within the district’s business communities and is meeting with a number of chambers of commerce and Rotary groups. Many of the groups that Trone has met with view him as the “business-friendly candidate,” in the same mold as John Delaney. A recent poll conducted by one of the Democratic CD-6 campaigns shows Trone locked in a virtual tie with Del. Aruna Miller (D-Darnestown), with Andrew Duck and Roger Manno battling for third place. Duck, a U.S. Army veteran who lives within the district’s boundaries in Brunswick, Md., is well-known in Western Maryland (Duck ran for the seat three previous times and was nominated twice by CD-6 Democrats to take on former Republican Congressman Roscoe Bartlett, who was defeated in 2012 by John Delaney) and is banking on his progressive bona fides to win over primary voters. Del. Aruna Miller, who is not well known in Western Maryland, is making a strong play for Democratic primary voters in Montgomery County, who make up a sizeable portion of the voting electorate in the 6th Congressional District. Miller was endorsed last year by EMILY’s List and has raised significant money within the Indian-American community. Miller has also earned the support of many of the influential Democratic activists in Montgomery County. The Trone campaign is said to view Miller as their number-one opponent in the race. Also running in the CD-6 Democratic primary is Dr. Nadia Hashimi of Potomac and Christoper Hearsey of Gaithersburg. Hashimi, a pediatrician with a compelling personal narrative, is almost universally unknown in Western Maryland and has not established a ground game beyond Montgomery County. However, she has assembled a robust campaign team and has potential to be the wildcard in the race. The Republican CD-6 primary is virtually settled: Amie Hoeber, the 2016 Republican nominee, is likely to sail past the handful of unknown Republican candidates and will face off against the inevitable Democratic primary victor. Western Maryland and portions of Frederick County is fertile ground for Republicans, and Hoeber, a moderate-to-leaning-conservative, has an established base of support in Garrett, Allegany, and Washington Counties, as well as large pockets of support in Frederick County and in Frederick City. Hoeber also has a decent amount of support in northern Montgomery County and is supported by a large number of Montgomery County’s Republican women’s groups. The Libertarians in CD-6 recruited a first-class candidate in Kevin Caldwell, a retired Army sergeant with several years of government experience. Caldwell is highly knowledgeable on federal issues and is likely to take away support from Hoeber in a general election. The last day to file for office in Maryland is Feb. 27 by 9:00 p.m.